I'm sure we'd all like to say our favourite film is something really worthwhile like Twelve Angry Men or Citizen Kane, but the reality for many of us is that the films we're drawn to watch again and again are films that make us feel good. 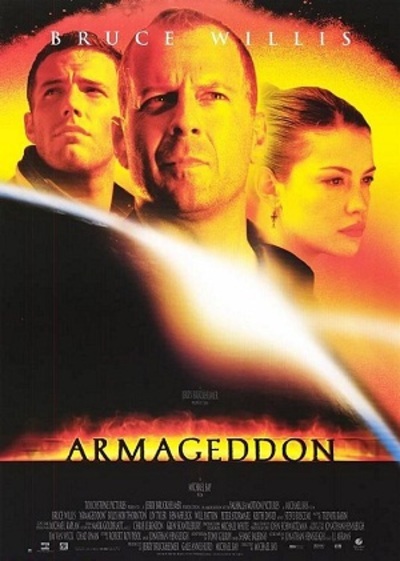 My guilty movie secret is Armageddon. On paper I should hate it: bad science and Michael Bay all in one film? I can't think of anything worse. But...for some reason I just love it. I can even put up with Michael Bay's incessant explosions to watch Bruce Willis and his band of roughneck drillers save the world again. The script is brilliant (thanks, J.J. Abrams) and that helps, but it still shouldn't work. Yet for me, it really does. When Ben Affleck and the gang sing Leavin' On a Jet Plane to Liv Tyler? Pass me the tissues! What's your favourite movie that's a bit of a guilty pleasure? I can't resist watching Miracle on 34th Street every Christmas. My guilty pleasure would probably be Star Trek Generations; it is full of plot holes, but I just really enjoy it. Spaceballs or Robinhood Men in Tights. Both are old and cheesy, but I love them. I love all the Die Hard films. They're occasionally slightly misogynist macho nonsense but I love them all the same. I also love the Indiana Jones movies, though they're equally silly and a bit racist. Why do all the Hogwarts students get on the train at Kings Cross? What do you think of Amazon's movie announcement?